Following overwhelming demand from their customers for pipework which is ultra-flexible and available in shorter coil lengths, JG Speedfit has introduced two new variants of its popular Layflat® pipe. 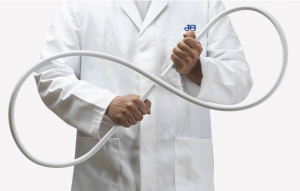 JG Speedfit has launched 25-meter coil length of the 10mm Layflat® pipe, considerably smaller than the previously available 50 meter and 100-meter lengths. The 25-meter range will offer installers a shorter run of pipe for smaller, domestic projects and is suitable for central heating installations, refurbishment, maintenance work and new builds. JG Speedfit has also introduced a 28mm Layflat® pipe available in a 50-meter coil, the largest product available within the range. 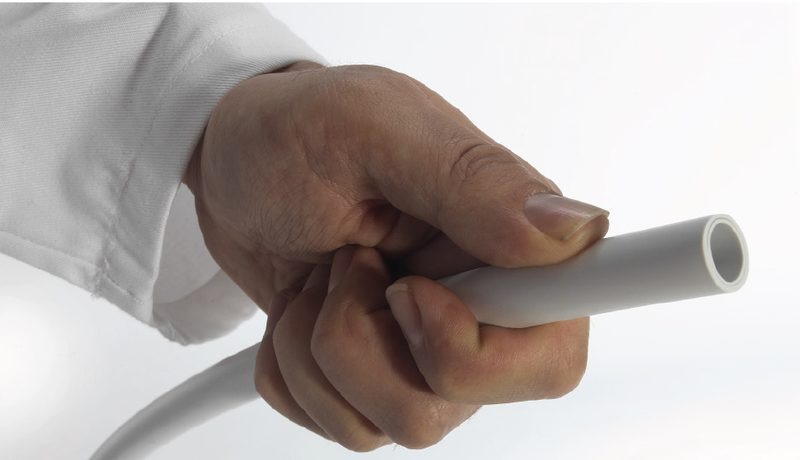 This has been specially developed to plug a gap in the range as an extension to the straight lengths of 28mm pipe. The new pipe has been requested by installers to suit commercial plumbing projects including new builds and refurbishment maintenance work. Both new variants have been designed following JG Speedfit’s unique formula, with low memory retention. This ensures that the pipe stays straight and lays flat once removed from the coil, without trying to spring back into place. After first being introduced to the market back in 2012, JG Speedfit’s Layflat® range has proved to be very popular with plumbers and installers, largely due to the fact that the pipe’s design allows for greater control and ease of movement, making it possible for an installer to meander and route the pipe through joists and tight spaces. It also includes an inbuilt barrier layer, which prevents the ingress of air. This, in addition to the pipe’s smooth inner surface, ensures an unrestricted flow through the system, with no limescale or corrosion occurring within the lifecycle of the product. Today, the Layflat® range is available in 10mm, 15mm, 22mm, and now 28mm sizes, offering a solution to every installation challenge. Place your orders for the new Layflat® pipe range today. Stocks available for Merchants from June onwards. For more information visit Speedfit.co.uk or contact us.